As one of our more than 6.9 million FreedomWorks activists nationwide, I urge you to contact your representative today and ask him or her to support Representative Tom McClintock’s Default Prevention Act, H.R. 692. This simple, common-sense piece of legislation would remove any possibility of defaulting on our national debt in the event that we reach our statutory debt limit. The ever-shifting horizon on when the federal government is scheduled to reach its borrowing limit has most recently been set at November 3rd, just days after John Boehner is scheduled to resign his office. What this means is that no new leadership will save us from yet another increase in the debt ceiling, although there will always be a principled few who will want to resist. 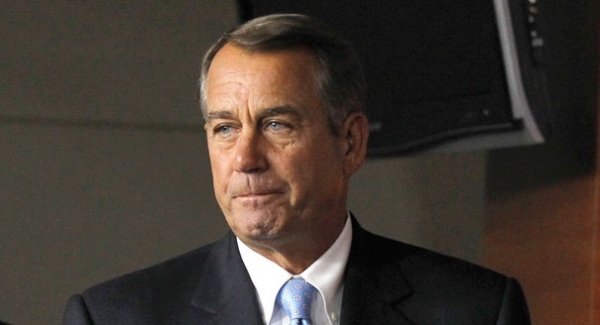 House Speaker John Boehner has announced that he will resign from Congress at the end of October. You read that right, he’s not just stepping down as Speaker of the House, he’s leaving Congress altogether, creating a seismic shift in the congressional landscape.